enclosures and prewired transmitters and receivers. 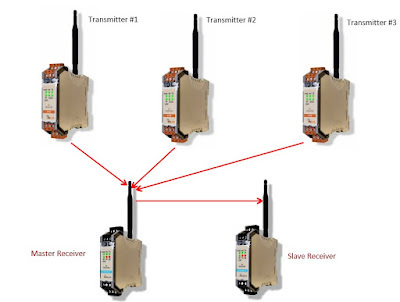 Analynk Wireless, with their extensive array of available options, can save customers time and effort when implementing wireless connections among process measurement and control devices. 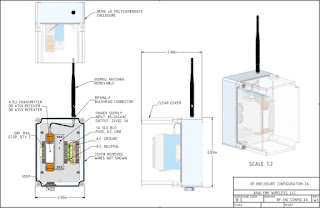 The enclosure for the transmitting and receiving gear should be properly sized to house the necessary devices, while providing adequate service space and an external antenna connection. Analynk has already made suitable enclosure selections, delivering good design practice, even prewiring, so the system is ready to install and power up right out of the box. The enclosure options are a few of the many preconfigurations that Analynk can accomplish for customers. Making wireless connections among process measurement and control instruments and equipment a smooth and cost effective option is the company's mission. Share your connectivity challenges with the experts at Analynk, combining your process knowledge and experience with their wireless connectivity expertise to develop an effective solution. 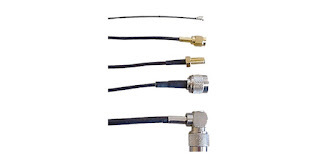 Analynk Wireless is best known for the wide array of radio transmitters and receivers enabling wireless connectivity of process measurement and control instruments and equipment. The company also manufactures a many specialty analog wired devices that can easily solve process measurement and control challenges. 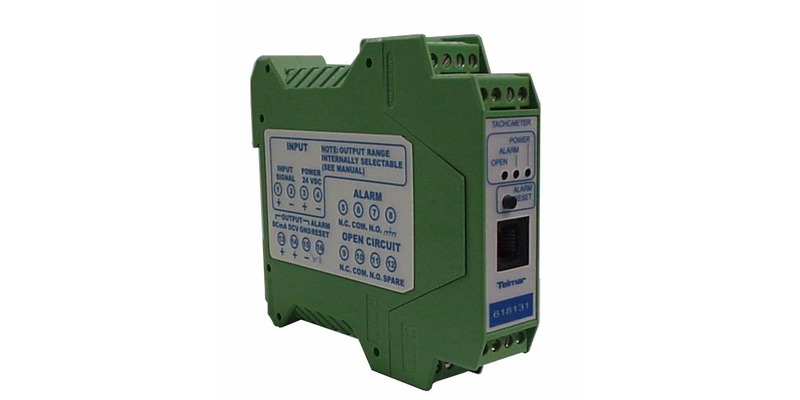 The 618 Series of tachometers use a frequency input from a pickup to produce an analog signal output usable by many industrial controllers. The tachometer mounts easily in a control enclosure on a 35 mm DIN rail and can accommodate a wide range of input pulse voltages. The unit can be configured to provide one or two alarm contacts, along with one of several common analog output signals. More information is provided in the datasheet included below. Share your process measurement and control challenges with the application engineers at Analynk, leveraging your own process knowledge and experience with their product application expertise to develop effective solutions. Upgrading or installing new process instrumentation often requires some level of specialty work that can extend beyond the normal scope of activities performed by in-house technicians. With some planning and smart outsourcing, many gaps in your own capabilities can be filled and expeditious progress made toward the end goal. 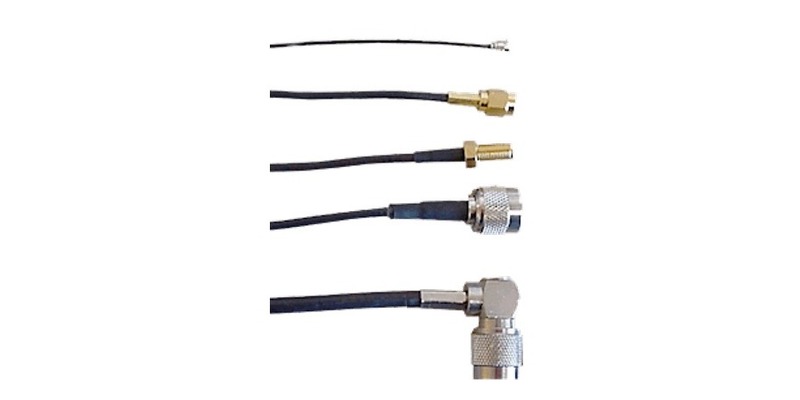 Industrial wireless gear will utilize a special cable to connect a remotely located antenna to a receiver or transmitter. Analynk Wireless, as a complement to their line of wireless transmitters, receivers, antennas, and related equipment, custom fabricates RF cables to help provide a complete installation package for their customers and enable the use of fewer source vendors. Any application can be accommodated, and design and planning assistance is available. Share your wireless connectivity challenges with the experts at Analynk. Leverage your own process knowledge and experience with their product application expertise to develop an effective solution. retransmits the signal to slave receiver. Industrial wireless connections are becoming more prevalent, due to their low cost, effectiveness, and ease of installation. Being knowledgeable of the various ways in which connections can be established and signals routed can increase your proficiency at putting in place useful connections among process measurement and control points. One easily implemented scenario enables multiple transmitters to deliver process measurements from separate locations to a single master receiver. The receiver can re-establish the analog process signals at its outputs, for use by monitoring and control equipment. 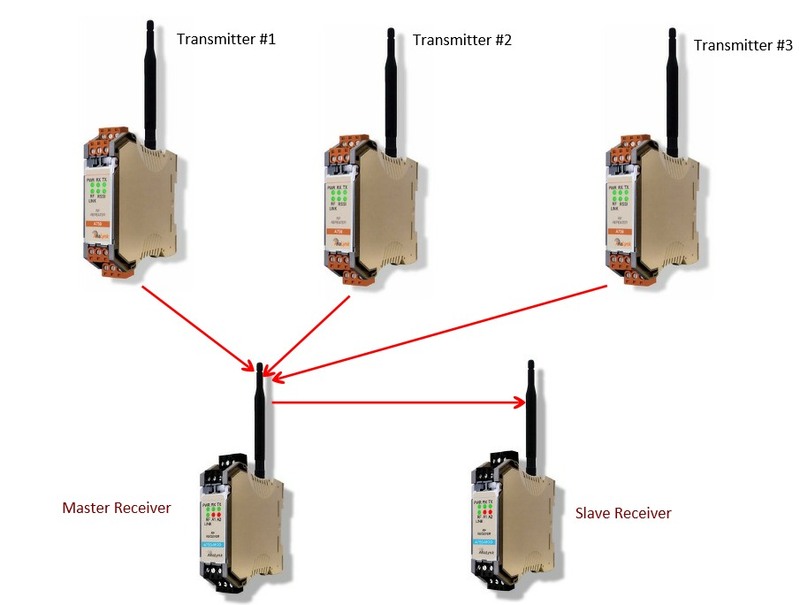 Additionally, it those process measurements have use in another additional location, the master receiver can forward the signals to a slave receiver. This allows the individual process measurements to be utilized over a potentially wide area or distance not easily or economically spanned with cabling. 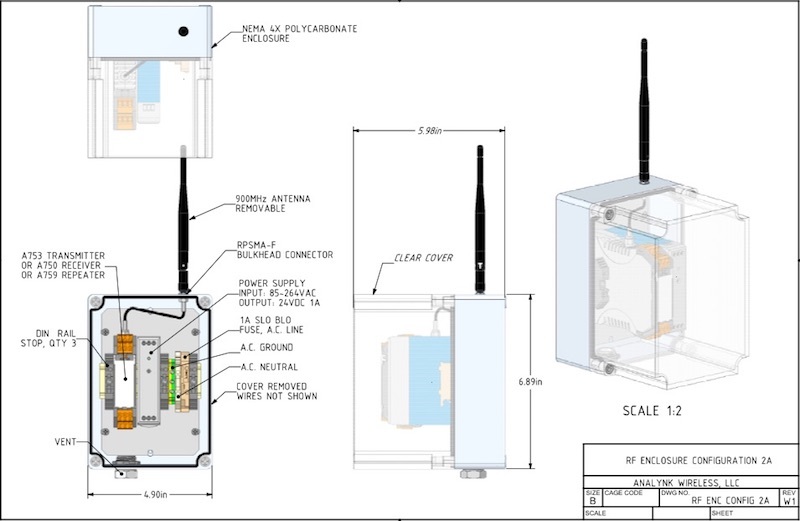 Analynk Wireless has a library of standard product modifications that have been previously utilized to meet special connectivity challenges. Share yours with them and build a solution.